Retired (2011) Principal of Bob Jones Academy and past Educational Director of Bob Jones University's distance learning program, BJ LINC for schools and home schools. 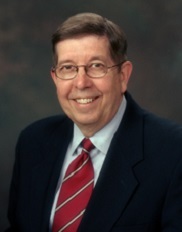 Dr. Cates served as Chairman of the Secondary Education Department, Bob Jones University from 2000 to 2005. Dr. Cates currently serves on the County’s Finance Committee and on the Public Works and Infrastructure Committee.